Hi. I’m Steve Jeffries, Team Leader for Project WINFRA. I’ve blogged about WINFRA before, but here’s a quick recap of what the project involves: WINFRA is an exciting and ambitious project which will enable Royal Naval Air Station (RNAS) Yeovilton to become the new home for the Army’s Wildcat Attack Helicopter Force. Originally a single project, WINFRA was broken down into a series of smaller discrete contracts to meet Defence timelines. I’ve been in this role for nearly two years now, and a lot has happened since then. Initial work began on the site last year, and in March this year we delivered the first building (Building 710) that will support the Commando Helicopter Force (CHF) Merlin helicopters at Yeovilton. Building 710 is a three storey Squadron Office Block and is one of four major WINFRA projects. The building will be used by 846 Naval Air Squadron (NAS) which has now relocated from RAF Benson, along with the Merlin Mk3 aircraft. 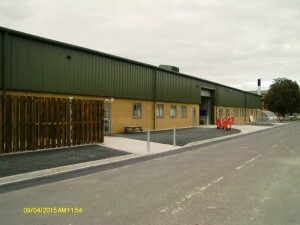 The project has also recently delivered technical facilities worth in the region of £14m for both the Navy and Army, including a new Quartermaster’s Store, Motor Transport Workshop facility; secure covered vehicle garaging, car park extensions, ancillary buildings (including new vehicle fuel and wash down point) and a cycle path. This work was competed this month and the buildings and associated infrastructure have now been handed over to the Army Air Corps (AAC). This significant piece of the project will facilitate the AAC moving in and integrating onto the Naval Air station. We were recently presented with a DIO Award for exemplifying the organisation's values and providing inspiration to colleagues in the delivery of their work. Our award was for Safety First – demonstrating how safety informs all aspects of our work and how we maintain site safety standards with briefings, training and empowering colleagues to challenge poor safety behaviour. We were presented with the award at an event in MOD's Main Building. It was nice to to celebrate the success of individuals and projects. We’re really proud of what we’ve achieved. 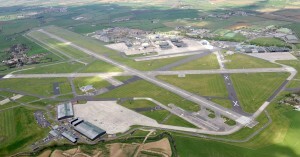 The refurbishment and remodelling of a number of hangars within the technical site, together with two new build squadron office buildings and a number of new build facilities will be completed next year. The contract for the fourth and final project – which will involve building a new Senior Rates Mess with associated Single Living Accommodation (SLA), cardiovascular fitness suite, Dental Centre, and the refurbishment of the current Medical Centre – is also progressing well and it is anticipated that some of the initial buildings and sports facilities will be completed and handed over at the start of next year. 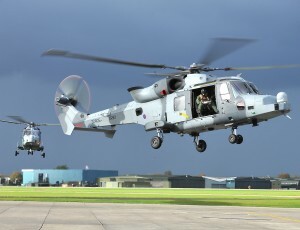 When the refurbishment and building work is completed on the site, RNAS Yeovilton will provide the necessary infrastructure to support the Navy and Army Wildcat in the same operational base. 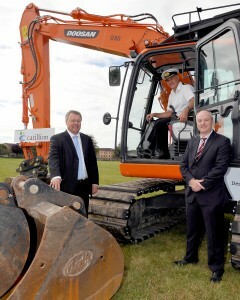 It will also deliver efficiencies as the Single Operating Base for WILDCAT.